Eiji Sakaguchi is President & CEO of CBRE’s business in Japan, responsible for 1,000 employees across 10 offices. 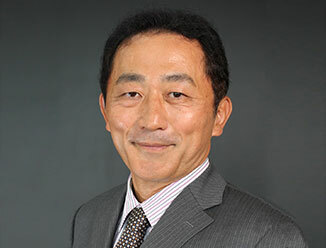 Eiji is a seasoned industry veteran with 29 years of real estate experience and an extensive financial background. He is widely recognized as one of the most prominent real estate professionals in Japan. Prior to joining CBRE, he was managing director and head of Real Estate at Mitsubishi UFJ Morgan Stanley Securities. While there, Eiji oversaw a range of successful asset transactions, as well as private and public capital market activities. Before joining Morgan Stanley in 2001, he spent 11 years at Mitsui Fudosan, where he held key roles in asset and property management, leasing, investment and development activity.